Have you ever wondered how you can get the most out of your supplements? Different supplements sometimes have additive effects, while some have positive interactions. Does this go with that? How can I improve the way this works? If you've ever asked these types of questions, this article may give you the basic information you need to help build a more effective supplement stack to maximise your lean gains. Creatine is a very popular supplement for use by bodybuilders and athletes for its clinically proven ability to increase strength and lean gains. However, it's absorption into the body is relatively low, and there are many things you can stack creatine with to increase its efficacy. The first is good old simple carbohydrates. High GI (glycaemic index) sugars such as glucose and sucrose are able to cause an insulin spike (Brand-Miller, 2005), which has been shown to enhance the absorption of creatine (Greenwood et al, 2003). Along the same lines, adding protein (such as whey protein) to creatine supplements also show the same improvement of creatine absorption by muscles (Cribb et al, 2007). Protein and sugars have a synergistic effect on creatine absorption. This in turn leads to increased lean gains and strength (Kreider et al, 1998). It is therefore the best to have protein and sugar together (Steenge et al, 2000), so it is not necessary to consume large amounts of high GI sugars, which is not often appealing for some people. D-pinitol is a plant extract which has been shown to increase insulin sensitivity. Since insulin is beneficial for creatine absorption, it has been shown that stacking D-pinitol with creatine and glucose was more effective than glucose and creatine alone (Bates et al, 2000). The final compound that has been shown to increase creatine effectiveness is alpha lipoic acid. This compound increases the glucose transport protein within the body, which improves glucose uptake. This again, has an effect on insulin response. Research has shown that the combination of creatine together with alpha lipoic acid and sucrose was more effective in increasing creatine absorption than sucrose alone (Burke et al, 2003). Beta alanine has been repeatedly proven to be effective in buffering intramuscular buffering, which in turn is capable of improving high intensity exercise performance. Research has shown that there was a trend for people supplemented with beta alanine and creatine, to be able to lift higher volumes during exercise compared to those on creatine alone (Hoffman et al, 2006). HMB is another supplement that can improve exercise performance, especially in beginner trainers. 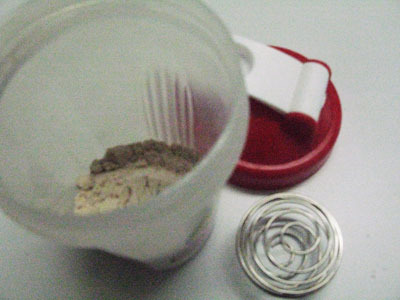 This substance has been shown to have additive effects with creatine (Jowko, 2001). These two can therefore also be effectively stacked together, as they exert their effects in different and complementary ways. Sodium bicarbonate is effective in buffering lactic acid build up in the blood, and thereby increasing exercise performance. This is another compound that has been found to be effective when combined with creatine to boost exercise performance (Mero et al, 2004). In summary, to increase the potency of your creatine, you should consider stacking it with protein, simple sugars, D-pinitol, and alpha lipoic acid. It could also be helpful if creatine was used together with HMB, beta alanine, and even sodium bicarbonate. Protein is probably the most used supplement. It is especially vital post exercise to supply amino acids for muscle repair and growth. However, what is unknown to a lot of people is that carbohydrates also play an important role. Carbohydrates are necessary for replacing muscle glycogen stores. This is an important part of recovery and is vital for your next training session. It has been shown that carbohydrates, when taken with protein, is more effective at replacing muscle glycogen than carbohydrates alone (Zawadzki et al, 1992). Leucine is a branched chain amino acid (BCAA) and supplementing with leucine itself has been shown to stimulate muscle synthesis, independent of insulin (Anthony et al, 2002). It has been shown that by adding leucine to protein and carbohydrate supplements after training, significantly increased muscle anabolism compared to protein and carbohydrate alone (Koopman et al, 2005). Other than the supplements already mentioned, you need to consider the type of protein used too. It has been shown that the combination of whey protein with casein protein is more effective for muscle and strength gains than whey protein alone (Anderson et al, 2005). In summary, to ensure maximum muscle synthesis and recovery, ensure you stack carbohydrates and amino acids (or BCAAs) with your protein powder, which should contain both whey and casein. To make the most effective use of creatine, stack it with D-pinol, alpha lipoic acid and simple carbohydrates (eg. sugars). Take this together with HMB, beta-alanine and sodium bicarbonate before a workout. Alternatively, creatine can be had post workout with D-pinol, alpha lipoic acid, protein, and carbs. At the same time, your post workout shake should contain both whey and casein proteins, as well as BCAAs such as leucine. With many supplements companies understanding this science be sure to look for an off the shelf formulation which incorporates these fundamentals. Mero et al (2004), Combined creatine and sodium bicarbonate supplementation enhances interval swimming. J Strength Cond Res, 18: 306–310. Steenge et al (2000), Protein-and carbohydrate-induced augmentation of whole body creatine retention in humans. J Appl Physiol, 89: 1165-1171.